Beat down your competition as your search engine placement rises. Call 877-956-2259 for your free consultation today! Welcome to Nuzzledot, a web design and digital marketing company specializing in all areas of web design and development. This includes custom designed websites, search engine optimization (SEO), creative logo design, online marketing, and pay per click advertising (PPC). Nuzzledot builds websites for small businesses, large corporations, non profit organizations, as well as government entities. Nuzzledot is able to custom design and optimize your website by taking into account factors such as your primary audience, industry, regions targeted, and the size of your business. We primarily serve Miami FL, Viera FL, and Orlando FL businesses. 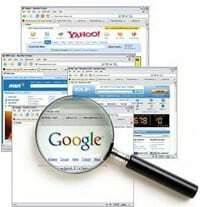 Great search engine rankings will change your business forever! From a full-blown e-commerce website to a small introductory website, team Nuzzledot is ready to create a customized program for any project. Tell us your business needs and we’ll make it happen. Please fill out the contact form below or call 877-956-2259. We will be sure to get back to you with a free estimate and pricing options for any digital marketing services you require. Thank you for visiting Nuzzledot Digital Marketing.